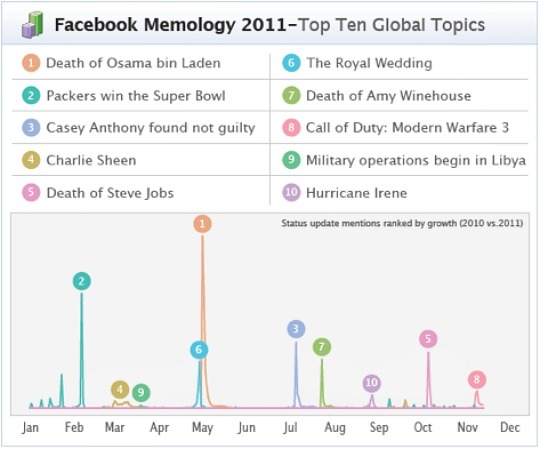 Facebook status updates played a starring role in the evolution of the world’s largest social network in 2011. As several major changes to status updates (increased character limits, for example) rolled out throughout the year, Facebook data scientists kept their eyes focused on tracking the key trends among those status updates. The above memology is just part of the whole - read full story HERE for many more revealing details.